Arra Cynnis is the youngest child in one of the most powerful families in the wealthy district of Unicorn Precinct. When she's found murdered, with the culprit's identity hidden from the magickal examiner's spells, the Captain of the Guard sends his best investigators. 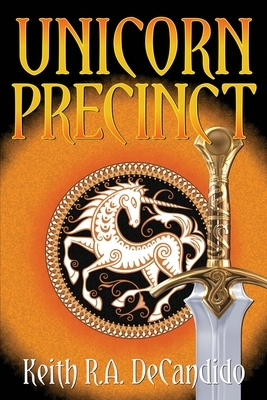 Ex-soldier Torin ban Wyvald and half-elf Danthres Tresyllione have two viable suspects: Arra's fianc , who is the cousin of another member of the Castle Guard, or the unknown person with whom Arra was having a torrid affair. Torin and Danthres must navigate the difficult political waters of Cliff's End's upper classes in an attempt to determine the girl's killer. Complicating the case is the unexpected appearance of Torin's estranged father, who has come to return the detective to his far-off homeland of Myverin, and he won't take no for an answer . . . .